Check out all the photos Techcore took at this year’s Anime North in Toronto! So much killer news yesterday, and this just topped it off. So, turns out that The Phantom Pain and Ground Zeroes are one in the same, that is to say it’s the fifth Metal Gear Solid. I personally loved every game in the series, so I’m excited to see where it goes after 4. Make sure you full-screen it in 1080p, it’s definitely worth it. Check out all the photos from this year’s PAX East direct off of Wildmatt’s and Techcore’s cameras! Here are the remainder of Techcore and Wildmatt’s photos from the past weekend at PAX East. It was a wonderful time filled with great booths, fantastic games, awesome cosplays and loads of fun! Make the jump for all the pictures. Sorry Main Phase viewers and fans, but there will be no new episode this week. Instead, have the entire PAX East: Magic the Gathering panel that took place on Saturday. Full of Spoilers! Note: Tripods are a possibility next year, as for now deal with the shaky camera. We’re done on the show floor for today! The place was packed and it was a blast. Check out all the photos after the jump. Does Mass Effect 3 stand up to the huge expectations the previous entries in the series has set? Watch as Nero explains his thoughts on the game. Yes, this is what a PSVita box looks like. It's so blue! TGS is officially starting tomorrow, but Nintendo and Sony both had press conferences and we’ll discuss them here. Nintendo basically confirmed and showed off the new 3DS expansion disc thing, whatever they call it. It’s just a 2nd analog stick attachment for the 3DS we’ve discussed previously on the site. The rumors of them revealing a new 3DS with that 2nd analog stick didn’t come through, but I’m still expecting them to do that, but when, that still remains the question. They decided to focus on software instead which was definitely the better choice, lots of people are still pissed about the price-drop. They showed off Paper Mario, Mario Tennis, Animal Crossing, Fire Emblem, Mario Kart 7 and Super Mario 3D Land amongst others. The Sony conference focuses on the PSVita, they revealed some specs, some new games, and new trailers. They announced the Japanese date of release as December 17th. A bunch of HD re-releases are also coming to the Vita such as Konami’s Metal Gear Solid HD and Zone of the Enders HD, Sony revealed Final Fantasy X is coming to both the handheld and the PS3. Ninja Gaiden Sigma, Katamari Damacy, Ultimate Marvel vs. Capcom 3, Street Fighter X Tekken, Lord of the Apocalypse and Armies of Hell are all coming to the Vita. As for the specs, it’ll boast a ton of RAM and a 4-core A9 CPU, the battery life is expected to be 3 to 5 hours of gameplay and takes 2 hours to charge. That’s about even with the 3DS, although the 3DS takes about 3.5 hours to charge fully. You can check out the full specs at Destructoid. The first footage of Dead or Alive 5 got released today, it looks pretty alright, that’s definitely DOA. 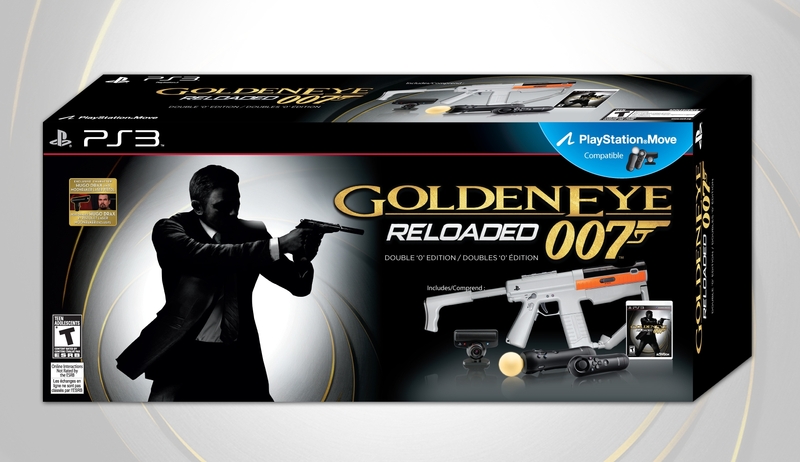 This is the Goldeneye bundle coming to PS3 on November 1st, still no price however. Tecmo had another trailer in the form of Ninja Gaiden 3. Looks like the storyline for the title is going completely off the rails! I really loved the first game, the 2nd was also great, so I’m looking foward to this. Street Fighter X Tekken has a TGS trailer out that showcases some new features such as “Pandora”. The feature allows you to sacrifice your tag partner for a “short, but powerful, boost in strength” and a weird character color change. They also revealed a 4 player scramble mode, which let’s everyone duke it out all at once or you can also choose to play the standard tag game 4 players. Lastly, the trailer shows off a new training mode called briefing that allows you to take it online, a nice way to train that should of been added to SF4 a long time ago. Rockstar decided to release a Max Payne 3 trailer, why’d they wait this long, I’m not sure. In any case, it looks nice, the original voice actor does reprise his role and it’s running off a modified RAGE engine. Now I know it’s been awhile but that isn’t the id Tech 5 engine, that’s Rockstar’s engine used in GTAIV. I’m definitely interested to see how this turns out, without Remedy behind the scenes working on it. I got to play Minecraft 1.8 for a bit, which is officially out now. The new lighting looks great, it’s the first thing you’ll notice. The 2nd thing I noticed were the new alien type things that disappear and appear out of no where. I’m not totally sure how I feel about this new update, but I’m sure it’ll grow on me with time. 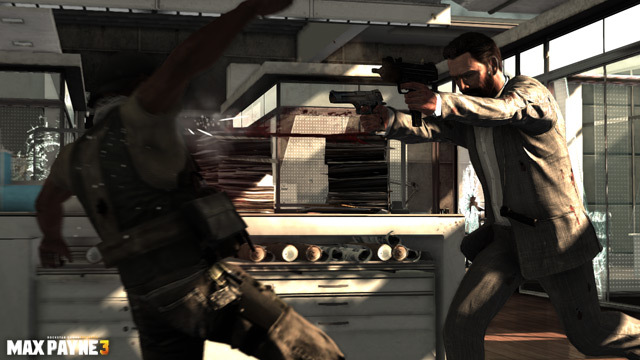 Rockstar Games revealed today that Max Payne 3 will be on store shelves in March 2012. The 2 screen shots released look pretty good, it remains to be seen if this will top the gameplay and atmosphere of the first game though. A couple of trailers got released that caught my eye today. First off, Ragnarok Odyssey got announced (sorta) yesterday and now we have footage. 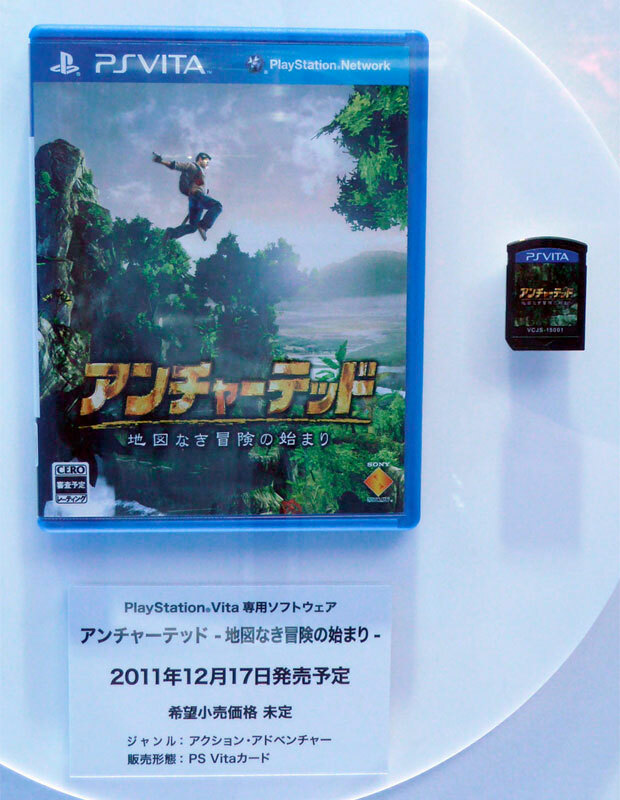 It looks a little Monster Hunter in nature, you’ll be able to play 4 players on the PSVita, I’m interested! Than we saw footage for the Persona 4 fighting game entitled The Ultimate in Mayonaka Arena. As an Arc System Works, it of course looks gorgeous, however I’ve never personally been into them. Timofiend posted an in-depth walk-through of his PS3/360 PC mod. Yes, he put a PS3 and 360 in 1 PC case. If you’re bold enough to try it out yourself, he pretty much details it step-by-step. Very interesting, it even boots both at the same time! The iOS football based game Backbreaker just got an NFL license. The game is called NFL Rivals and costs $2.99, $2 more than regular Backbreaker. It’s interesting because these guys made a football game that rivaled Madden and was even on the consoles as a downloadable game. I doubt this new one would come to the consoles as EA has the exclusive rights to NFL games on consoles. Although it’s fascinating to see what’s going on in the world of football video games. From Dust is coming to the PlayStation 3 on September 27th for $14.99. The PC game was met with alot of criticism for being a poor porting job from the 360 and also having the terrible Ubisoft DRM, that requires an internet connection at all times, even if Ubi said it wouldn’t. Uncharted 3 just started it’s television advertisements today, you can go check it out on YouTube here. 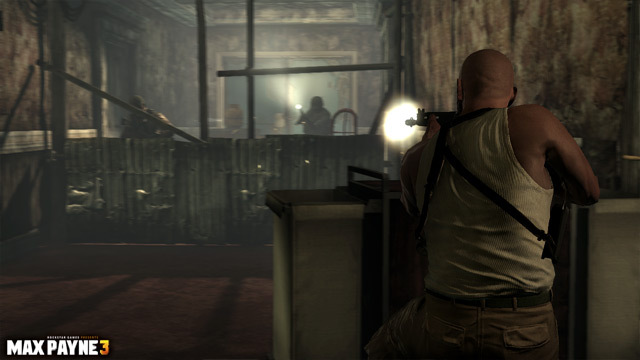 In more Max Payne news, Rockstar revealed they plan to bring the classic game to mobiles. “Available for the first time on mobile, Max Payne will have connectivity to the Rockstar Games Social Club and boast the same features as its PC counterparts,” reads the announcement, “including HD graphics and high-resolution textures that take advantage of the latest mobile technologies, including incredibly customizable controls and support for wired controllers.” We’re still not sure what systems they mean, but maybe it’s a safe assumption that this means the iOS devices. Modernwarfare3.com got seized by Activision today. They filled an ICANN request to take ownership from Anthony Abraham, and they had to prove the site was identical to, or similar enough to cause confusion with, one of its trademarks; that the domain name was registered and used in bad faith, and that Abraham had no rights or legitimate interests with respect to the domain. They did that and won the case. Congrats Activision? You’re legal powers beat 1 guy, yay!